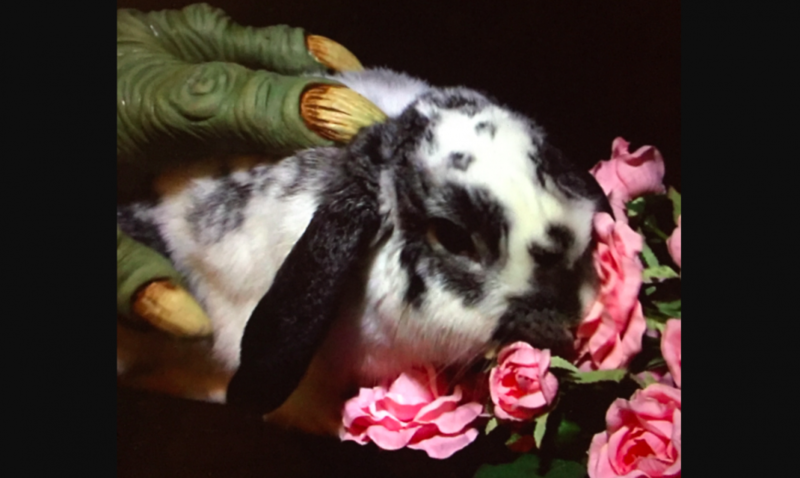 In a black landscape, a monster hand comforts a bunny as it examines a bouquet of flowers. A child's inquiry about terrorism is twisted into a tall tale as the horrors of the world are magnified through their innocence. Our planet’s ecosystem is collapsing and the political action needed to save it has been hijacked by corporate interests. Will protective instincts kick in and bring change or will we slowly sink into a system void of feeling?